Lasagne is pretty much Anna’s favourite food, so in an effort to brighten a day spent in dissertation doom, I decided to try making veggie lasagne for the first time. There are only few things that can comfort you on a day spent ‘dissertating’, but it turns out that lasagne is one of them. Do not be afraid of the long list of ingredients, this dish is easy, delicious and cheap. 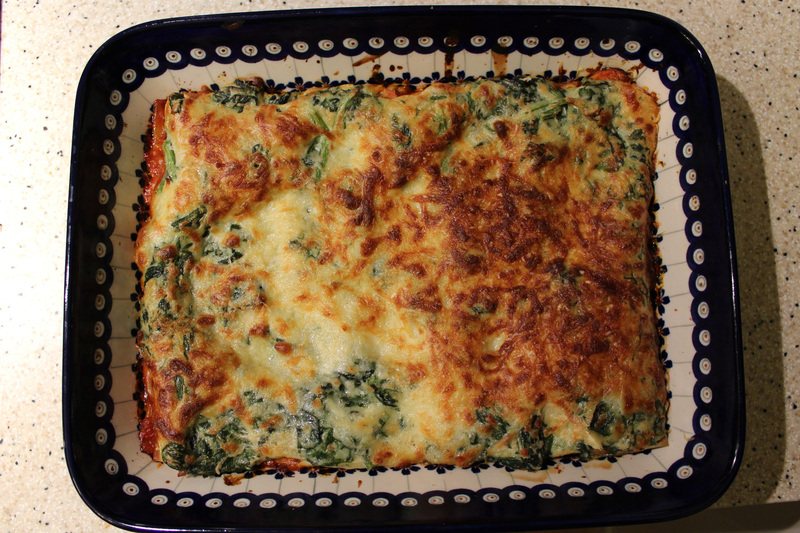 Mushrooms and squash are still in season, frozen spinach, onion and passata are cheap and you can enjoy 20 minutes of warmth while the oven warms up your kitchen. Its a winner.